West Heath is a friendly and welcoming tennis club with three grass and two hard courts. We have a large range of social and competitive activities, and we pride ourselves on our hospitality, our food, and of course, our grass courts. 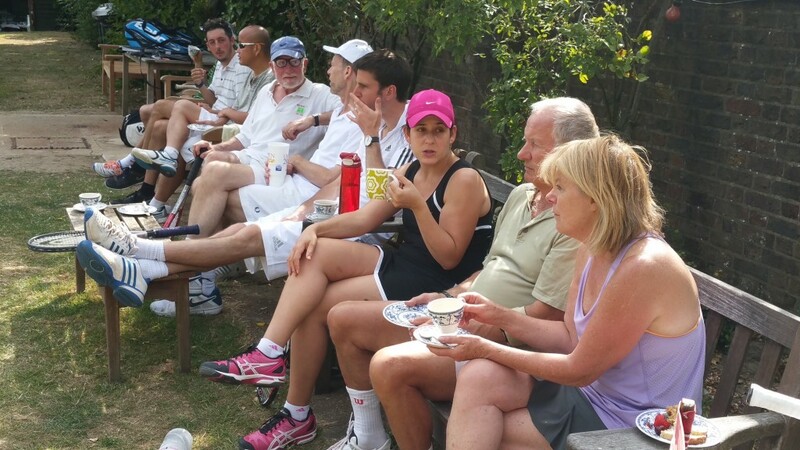 On Saturday and Sunday afternoons there is social tennis for all members. Members take it in turn to provide afternoon tea at the weekends. They are always well received, especially after a few hard fought sets on the grass. The club is renowned for its Gourmet Dinners Week during the Club Tournament, which culminates on Finals Day with an evening barbecue. There is also social tennis on Tuesday evenings throughout the summer. We enter two men’s and two ladies’ teams in the Middlesex North East summer league, and are always on the lookout for new team players. The annual Club Tournament takes place over two weeks in July. We also organise American tournaments throughout the year. Michal Forys is our club coach and offers lessons to both members and non-members. For more details, please see the coaching page. If you are interested in joining, please see the membership page. For a map and directions to the club, see our contact page.